Despite the major developments in the therapeutic armamentarium for the treatment of infection, the morbidity and mortality of this complication remains very high in patients with compromised defences. Cancer and its treatment represents a major predisposing condition to a variety of infections. 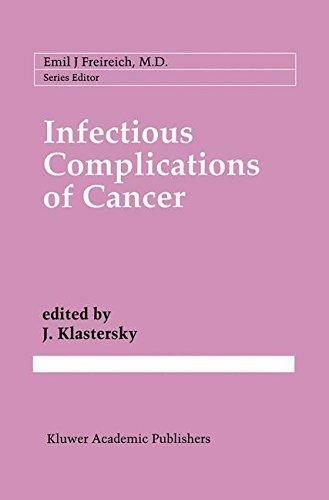 These adverse events are still with us, in spite of much progress in the therapy of infectious disease, since cancer therapy is becoming more aggressive, yet further lowering the host’s capacity to cope with infections. Moreover, the pathogens adapt effectively to drugs, and at a pace that might outrun industry’s capability to produce new agents. Finally, new pathogens are appearing as a consequence of both selection and severe immunosuppression. Infection is so common among cancer patients that its diagnosis and management represent a daily challenge to all oncologists, who must continually strive to keep abreast of developments in the area. 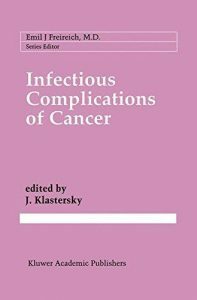 The present comprehensive review of the most crucial and challenging aspects of the infectious complications in cancer patients will help them to do just that.